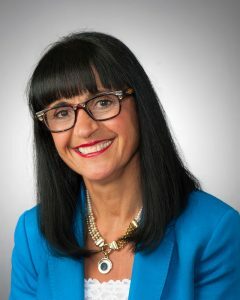 Silva Arslanian, M.D., is Professor of Pediatrics and Clinical and Translational Sciences at the University of Pittsburgh, School of Medicine. She holds the Richard L. Day Endowed Chair in Pediatrics, at the UPMC Children’s Hospital of Pittsburgh. She is the Director of the National Institutes of Health (NIH)-funded Pediatric Clinical and Translational Research Center, and the Scientific Director of the Center for Pediatric Research in Obesity & Metabolism at the University of Pittsburgh, Children’s Hospital of Pittsburgh. She was the Founding Director of the Weight Management & Wellness Center. Dr. Arslanian obtained her medical degree from the American University of Beirut and completed her pediatric residency training at the same institution. She completed her fellowship in Pediatric Endocrinology at the Children’s Hospital of Pittsburgh. Dr. Arslanian is funded by NIH, Research Foundations and Pharmaceutical Companies. Her research focus is insulin sensitivity and beta cell function during childhood growth and development, in health and disease (obesity, pre diabetes, Type 2 diabetes, metabolic syndrome PCOS), and racial contrast in risk for the aforementioned. She has served the national and international scientific communities in various capacities. She has been a member of several consensus panels including the European Society for Pediatric Endocrinology “Childhood Insulin Resistance”, the Endocrine Society “PCOS Guidelines”, the Endocrine Society “Childhood Obesity Guidelines”, the American Diabetes Association (ADA) “Type 2 diabetes in youth”, and the International Study of Pediatric and Adolescent Diabetes (ISPAD) “Type 2 diabetes in youth”. Dr. Arslanian is the recipient of several prestigious awards for her seminal contributions in advancing scientific discoveries in pediatric insulin resistance, beta cell function and diabetes. She has more than 250 publications, and has been an invited lecturer and chairperson at various national and international congresses.